In just a few short months, people will have the chance to do something we've all collectively been dreaming of for years: to live inside the world of Star Wars. 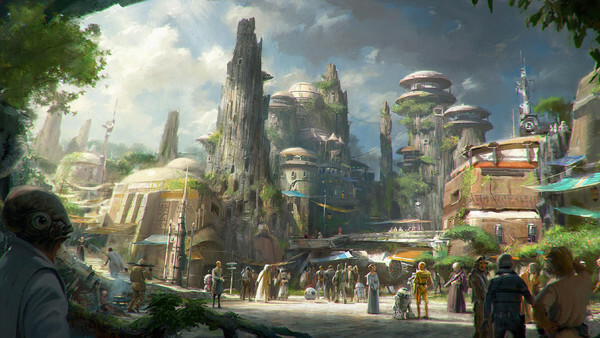 Disney's brand-new Star Wars: Galaxy's Edge opens this summer at Disneyland in California and this fall at Disney World in Florida. Recently, a few members of the media were welcomed in for a press conference and a tour of the still-in-progress world and they have come back with some incredibly tantalizing details about the soon-to-open land of the parks. From the new rides, to dining experiences, to canonical references to the films and beyond, Galaxy's Edge sounds like it is going to be full-blown bonkers. Here are the ten biggest new reveals you need to know about the insanely highly-anticipated world of Galaxy's Edge. One of the most crucial details of creating a Star Wars land is deciding what planet it is going to be set on. The franchise is so full of famous and iconic locations, it can be a bit hard to choose. Wisely, Disney has created an entirely new planet for the experience; Batuu. A remote outpost on the outskirts of the galaxy, the planet was once a central hub along various trade routes before hyperspace travel became affordable enough for the masses. In the time since then, it has become a 'wretched hive of scum and villainy', a place in which those looking to lie low for a while can avoid attention. In the narrative of the Galaxy's Edge, Batuu has been invaded by the First Order a mere two weeks before guests arrive, looking for the remaining members of the Resistance. 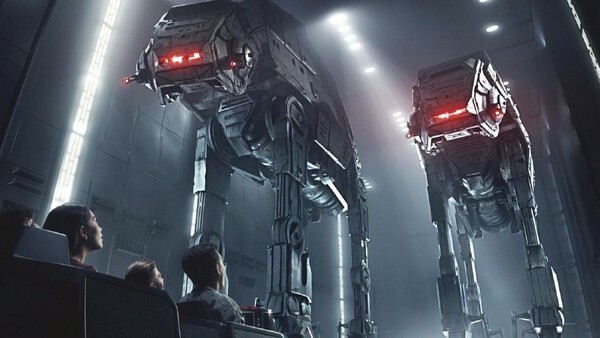 Not only does this set up the core narrative that the rides are founded upon, but it also influences everything about the land, from the ever-encroaching and watchful eye of the First Order members all around the park to the giant AT-ATs set up at the entrance.